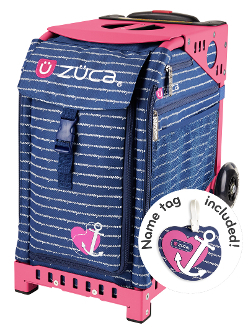 ZUCA Anchor My Heart Insert & Frame is Nautical and nice. Sail away with a sea-inspired design even land lubbers will lub. Made from premium polyester and coated with water-resistant polyurethane.